Sinks are under mounted onto countertop. This option is available for butcherblock, quartz, granite, and solid surface countertops. New quartz composite sinks are coming out for undermounting to laminate countertops. Recommended with stone or solid surface countertop (more expensive). Laminate undermount sinks are not recommended because the laminate can chip at the edge. The sink is mounted onto the countertop and the sink and top are sanded to create a smooth transition and a flawless seam between the two. 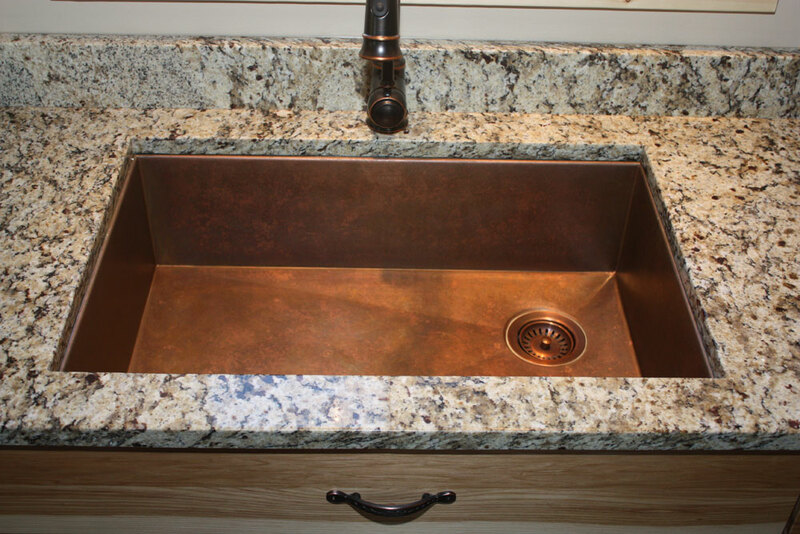 Laminate countertops can also have an integrated solid surface sink. The sink is under mounted directly onto the laminate. Seamless transition between sink and countertop and light scratches and burns can be sanded. Laminate with integrated sinks are not recommended- laminate can chip at the sink's edge and is unfixable. Sensitive to extreme temperatures- can create hairline fractures near drain.